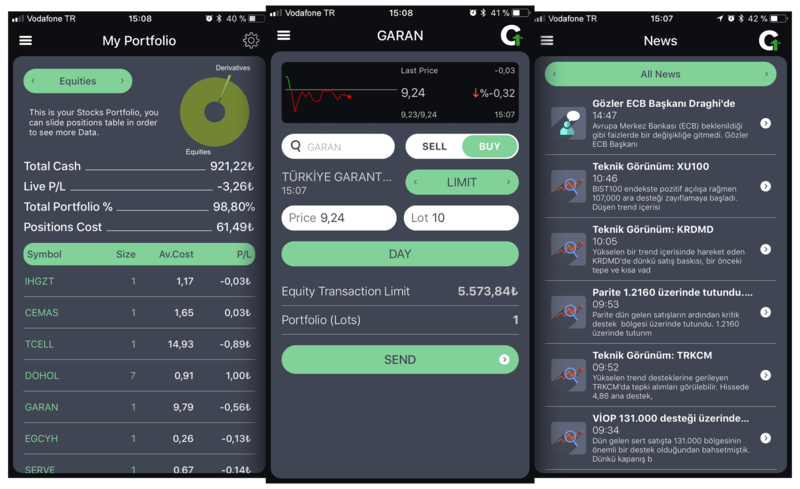 May, 22, 2018 Munich, Germany – Devexperts, the software developers of retail and institutional trading platforms, together with Global Securities, a brokerage firm operating in Turkey, announce the launch of BayGlobal, a custom made notification and trading platform created specifically for the Turkish financial markets. BayGlobal is a new generation trading platform, which understands clients’ personal preferences. Utilizing instant notifications it monitors the market and intelligently sends out notifications with trading ideas, and a further link to place an order. The trading platform is designed to host millions of end users, simultaneously, through web and mobile (iOS and Android) devices. BayGlobal also brings the simplified trading tools to trade equities and futures listed on the Borsa Istanbul Exchange. It includes more convenient management of traders’ accounts, with money transfers and instant deposits. Thanks to a user-friendly and intuitive UI, every trader can now setup their own trading front-end based on their trading habits. BayGlobal is based on dxTur, a fully custom developed version of dxTrade (Devexperts multi-asset trading platform). Its modularity facilitates the addition of new asset-classes, widgets, the performance of customizations (according to a client’s needs and regulations) and the creation of a unique UI, while only requiring the same time-to-market as standard white-labeling. BayGlobal trading platform is powered by dxFeed, a subsidiary of Devexperts, delivering financial markets information and services to buy-side and sell-side institutions of the global financial industry, and offering flexible market data subscription packages. Global Securities is an independent company that provides capital market brokerage services to individuals and financial institutions, local and international investors. Global, with its many accomplishments throughout Turkey, has received almost 40 international awards. The company also won “The non-bank intermediary institution with the biggest trading volume since the foundation of Borsa Istanbul” in 2010. Global Securities provides fast communication to its clients through 3 branches executing extensive domestic sales network and the investment center 444 0 321, its website www.global.com.tr.